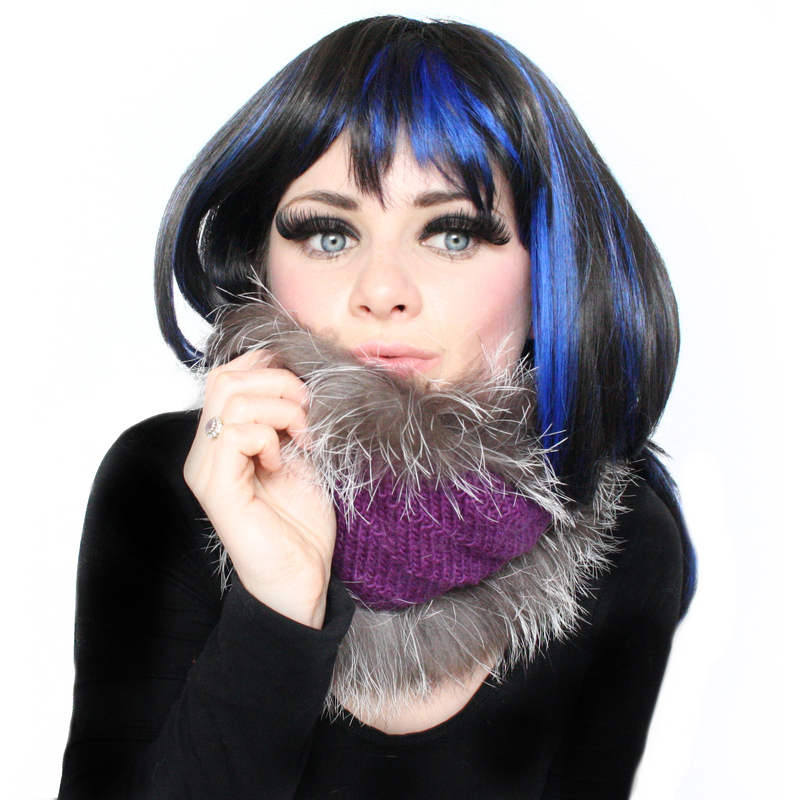 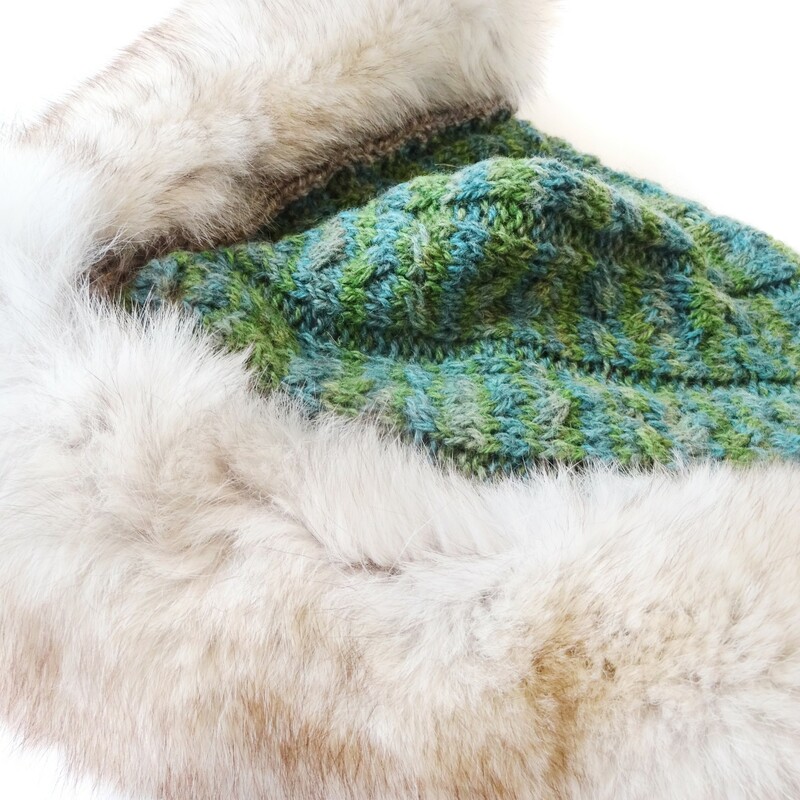 This wonderful hooded scarf is the perfect accessories this season; knitted in a pretty cable pattern and trimmed with fabulous blue fox. 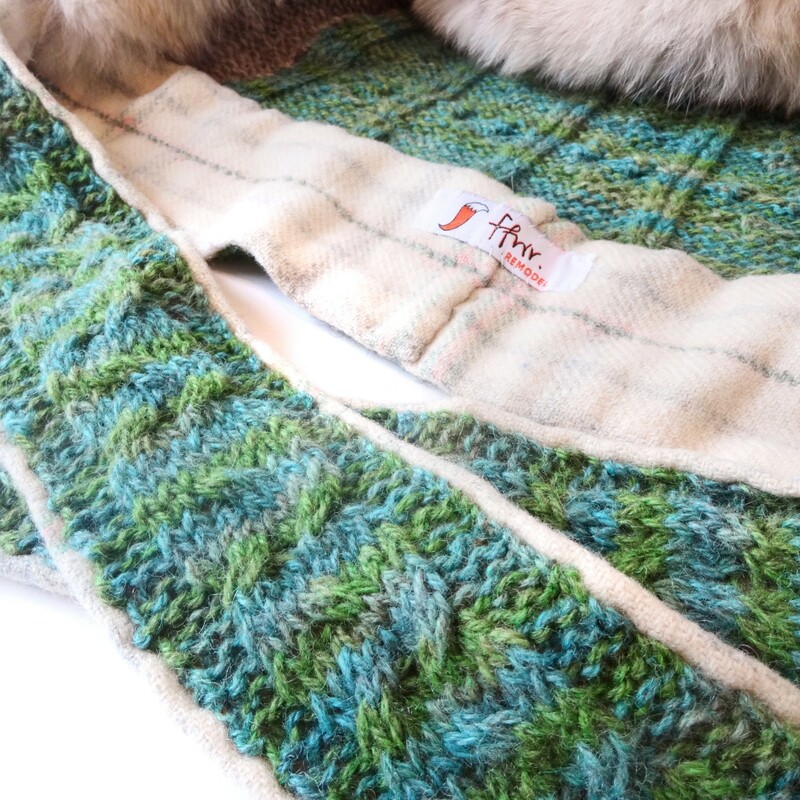 Also lined with recycled woollen cloth for stability, it’s the perfect gift for women or girls! 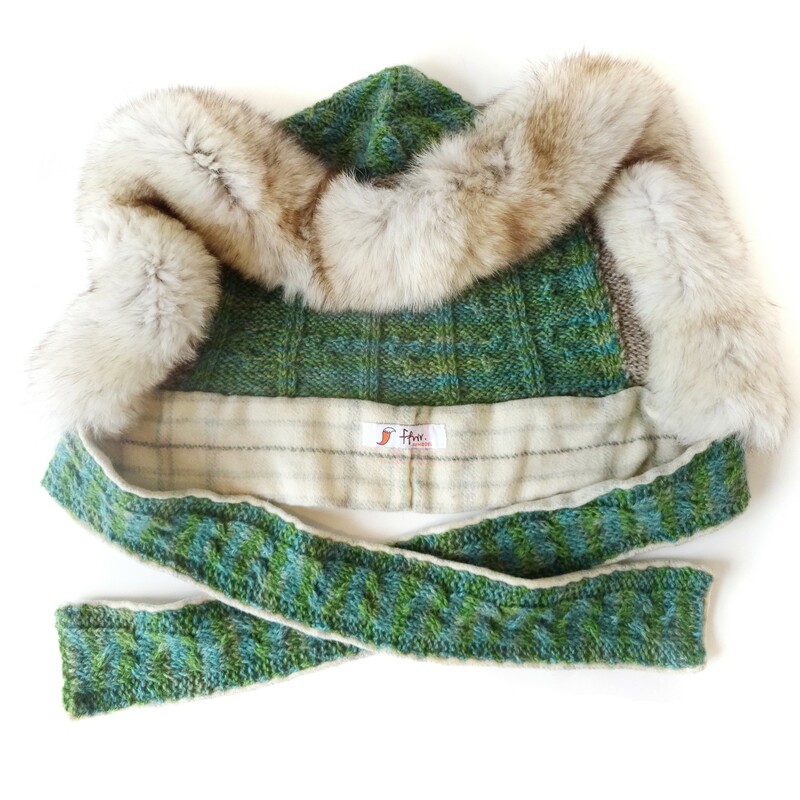 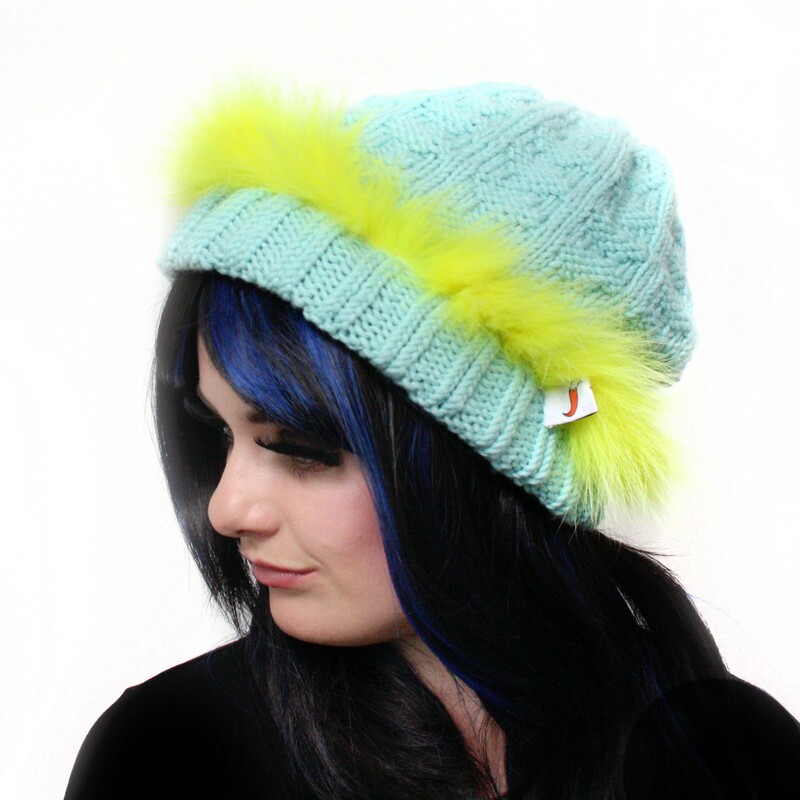 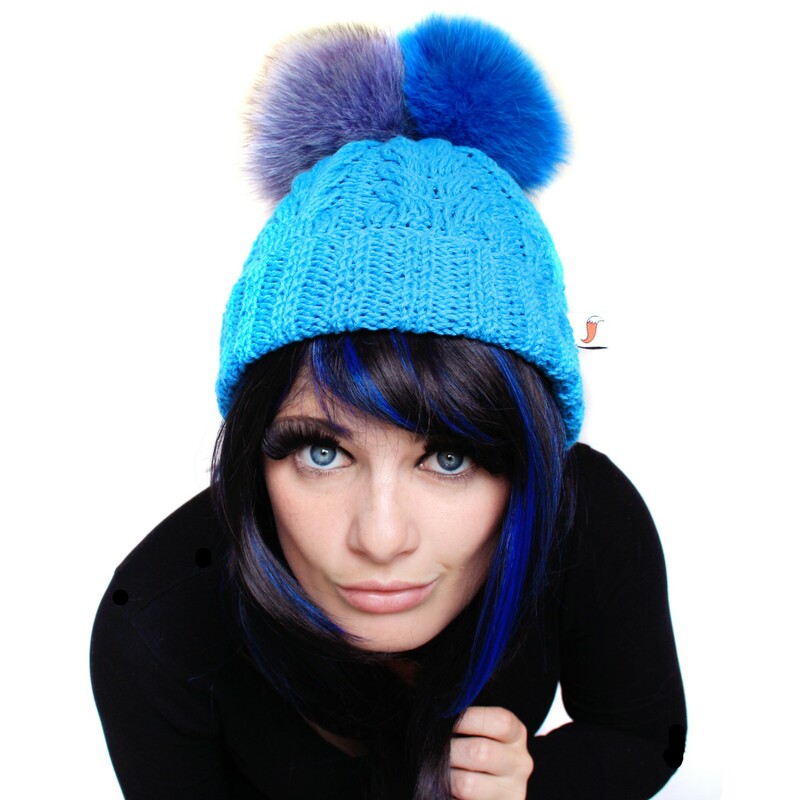 ♥ Made from locally sourced Welsh wool, how lovely!